So we’ve all heard the points system. How men and women score points differently. I can’t remember which funny man said this first, and I can’t seem to get Google to cough it up either, so we’re just going to have to pretend I know who to attribute this to, and that everybody already knows what I’m talking about. Kevin and I joke about points a lot. “Wow! You really did that!”, and he says, “So am I going to end the day with a positive total?”. I’ll tell him maybe! He’s already a point and a half in the right direction! He rolls his eyes and laughs. Sometimes I am flagrantly generous, and award more than one point for a thing also. There have been occasions, not many, mind you, but some, where he has actually ended the day with five or six points! Anyway we have some fun with the whole thing, and there is some truth to the way men’s and women’s brains count up meaningful gestures. But something men just don’t get. Something the male relationship experts haven’t even figured out. Women also award permanent points. Points that never go away. It isn’t for the regular things. He doesn’t get this for complimenting her, or bringing her flowers, or taking her out, or even for doing the dishes one evening. He gets permanent points for getting up in the night when she’s had a hard day, and taking care of the kid that is throwing up. He gets them for hugging her every day when she cries in grief over a loss that he can’t fix, and that makes him feel utterly helpless. He gets them for not expressing irritation at her for an accident that totals HIS car, not hers. He gets them for doing the laundry year after year because the detergent and heat from the dryer makes her so uncomfortable she dreads it. He can even get them when he WRAPS her Christmas presents instead of just handing them to her in a bag! They aren’t things anyone can really PLAN for. They are the acts that show the depth of character and love right in the middle of the chaos and crisis and frantic coping of real life. Things unexpected, and given just because he COULD, when nobody expected he WOULD. Permanent points are never forgotten. They don’t disappear at the end of the day. They embed themselves in her heart, and serve as an anchor for love to grow on. When she’s just HAD it with him, and isn’t sure its worth it, those are the things that she hangs onto, that pull her back. When her friend says, “Why do you stay if it is that hard?”, she says, “That. That thing, right there!”. The things that remind her that he really DOES love her, even when she’s forgotten exactly what it was that he did. A thing that CAN’T be forgotten entirely, even if she can’t remember completely. Regular points, they reset at the beginning of the day. Usually. Unless he was in REALLY deep. Then they might not COMPLETELY (fair is fair, after all!). But usually they just reset, positive, or negative, he starts fresh each day. But permanent points stick. Little bits of glue, bonding him to her heart, in spite of the day to day. We live in a fast food world, where we expect a meal in 5 minutes, and can take an item from the freezer to the table, within a few minutes, and serve up a hot meal with very little effort. The quality is, of course, questionable, and we forget that homemade food has the potential to taste so much better, and that it is so much better for our bodies. The primary reason for learning to prepare foods from scratch, is quality and health. Foods without preservatives, foods that taste rich and are full of genuine flavors (not counterfeit flavors created in a lab), and which contain real ingredients which shine through. I’m not here to persuade you of the benefits. I’m only here to suggest some of the skills that make it manageable. I have experienced the process of learning to do things more and more by hand. I’ve watched other people go through this process also – first making bread, then making whole wheat bread, then milling flour to make the bread, then making the yeast to make the bread with the home-milled flour, and eventually contemplating growing wheat (most individuals really can’t do this practically). The progress from buying the loaf, to making more and more of it yourself. Most people will reach a point where they cannot go any further with it, and where they are comfortable with the compromise. This is pretty important, because otherwise you can really overwhelm yourself with tasks that just are not practical in our world, or in your particular corner of the world. Slow food has benefits though, that are worth exploring. Most people are frustrated with the time it takes to begin with, until they learn skills for being able to do so within the time constraints that living, working a job, or raising children places upon them. Prioritizing – You can’t do everything. You have to choose what is most important, and get it done. That often means making sure a task that needs to be done today to be ready for tomorrow, is done on time. Letting unnecessary things go – You can’t do slow food when your life is filled with time-wasters. You have to let some idle passtimes go. If you already maximize your time, then you have to determine what you can let go that is less important than preparing healthy food. The wonderful thing about slow food is that there are many tasks which are relaxing when you learn how to do them in a convenient way, and which help form family bonds when you involve the children in the work. Working slow tasks in around fast ones – Much of the “work” involved with slow food is waiting. Chop the ingredients, let something marinate and wait. Put the chopped items in a pot and let it slowly simmer for hours – stir it every half hour to hour, while you do other things. Use the waiting time to do other things, and organize your day so that you can maintain the slow food in a convenient way. Planning ahead – You have to thaw the meat, mill the flour, render the lard, ferment the vegetables, start the stew, make the sourdough starter, or whatever else, ahead of time. You have to make it before you need it. You have to prepare ahead for many things. You have to stock in ingredients you might not otherwise use, and keep a wider selection of ingredients on hand. You have to start meals an hour or so ahead of time, sometimes more, depending on the food you are preparing. You have to think ahead. There are tricks to get by on those days when you just can’t plan ahead, but for the most part, you need to be thinking a day ahead, or at least thinking about what is for lunch and dinner while you are preparing breakfast. Patience – A necessary skill – and patience is a skill, not just something some people have and others do not. The more you do it, the more patient you become, so if you feel you are too impatient, don’t worry! Just expand your skills a little at a time, and your patience will grow with it! Learning skills to make slow things faster – Many “slow” tasks are slow because we don’t know how to do them well, and because our kitchens are not organized to make them fast. We have the flour stuck behind the Mac&Cheese, and getting at the ingredients to make our own noodles or biscuits is inconvenient. A little reorganization, and some practice, and you can make gravy in less than 5 minutes, biscuits whip up in 3-4 minutes, and you can even get bread ready to raise in 5 minutes, and that INCLUDES putting everything back into the cupboard! 90% is practice. The other 10% is observing, researching, and listening, to learn ways to do complex tasks more quickly – for example, when making your own tortillas, getting the texture right (fairly soft) makes the job MUCH faster and easier. Tips like that, which you learn over time or which you pick up from others, can make a WORLD of difference in how much you can accomplish in a day! Selecting the right equipment to speed things up – A crock pot, a rice cooker, a bread maker, a tortilla press, a good wheat mill, a good orbital mixer, a sturdy shredder, a fermentation airlock, the right potato masher, a ceramic non-stick skillet, thick bottomed pots that reduce burning, a flat ended wooden spoon to stir the bottom of hot pots more quickly, a pressure cooker, a deep fryer, a food dehydrator, a good meat grinder, a french fry cutter, etc. Good equipment saves time. Lots of time, and makes some tasks more fun, and safer for kids to participate. Equipment is like everything else with slow food, you don’t do it all at once – you accumulate it one item at a time, according to the things you do most. Learning skills layer by layer – Start by following recipes for dinner, instead of using boxes. Then advance to making or growing ingredients, one layer at a time. Taking on the whole picture (however you see the whole picture) all at once is overwhelming and certain disaster. Learn it bit by bit, and as your skills expand, you’ll naturally progress to the next phase for as long as you feel the desire TO progress to the next phase. Any degree of more real food is good! Producing your own food from seed, bulb, chick, calf, or wild animals is the natural conclusion of slow food – Growing food is the natural extension of preparation. It allows you to know completely what is in your food, and it is the ONLY way to know for sure that your food meets your standards, because NOBODY cares more about what is in your food than you do! Gardening, raising livestock, and hunting are vital parts to producing food from scratch. Slow food offers the opportunity to create from start to finish, and to see the process and experience all the creative effort that goes into placing food on the table. There are rewards to slower processes, delayed gratification, and learning to wait for what is best. Those rewards are beneficial for anyone, but most important for children, who have so few instances of slow rewards in the world we live in. 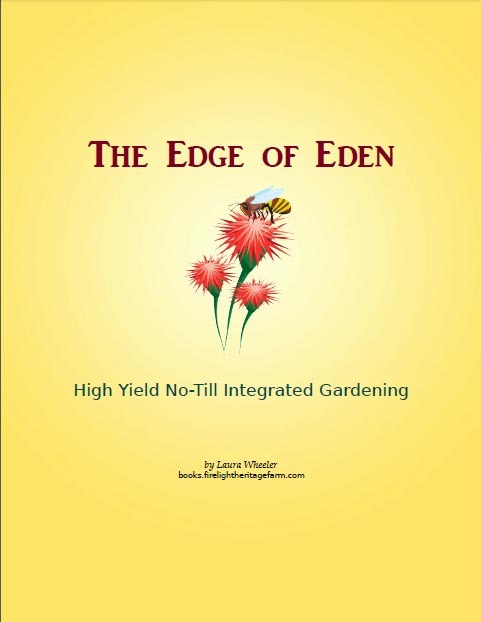 Planting a seed, nurturing it, seeing some live, some die, harvesting, preserving, cooking, and enjoying the food they grew with their own hands, or tended for hours or days from idea to consumption is an invaluable experience for children. When they experience this over and over in their youth, they become more patient and more productive adults, because they know that the BEST things in life take time, and investment long before the payoff. Slow food as a way of life requires changes in the home, and in our thought processes, and in the way we move through the day. But it brings so much to us in health, satisfaction, and experience, that it is well worth the effort to adopt another layer of it into our lives. Because it is only when you have practiced it for a few years, that you realize that what seemed like complexity, was really simplicity. Mormons don’t drink alcohol. At least, they all know they aren’t SUPPOSED to (doing so is considered to be fairly serious). The word “ferment” for a Mormon typically has only ONE meaning – that of making alcoholic drinks (intentionally, or unintentionally). And yet, I sell fermenting products, and fully believe that the products we sell were inspired of the Lord. In the trendy world of the foodies, the word “ferment” is often preceded by the prefix “lacto-“. But when foodies get lazy, they drop the prefix and go with “fermenting”, and assume that everyone they are talking to knows what they are discussing. 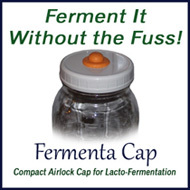 “Lacto-fermenting” refers to any process of fermentation which produces lactobacillus – a healthy form of bacteria. And there are several forms of fermenting which produce this kind of bacteria – alcoholic beverage production is only one form. Most avid lacto-fermenters are not terribly concerned about the alcohol content. Oh, every once in a while someone will question it, with specific fermented items, but everyone else is quick to shut them up with reassurances that while no one has actually MEASURED it accurately, they are all CERTAIN that it is safe, and to go ahead and consume it as a health drink, give it to your kids, etc. This is in spite of a vast body of anecdotal evidence that clearly shows that SOME lacto-fermented foods ARE in fact alcoholic – with enough alcohol content to intoxicate (as in, raise the blood alcohol level as measured by blood tests). As a rule, pretty much ANY food with sugar (including tomatoes) will go ALCOHOLIC when fermented. This includes water kefir, soda pops, sweet teas, and many others. If it has sugar, has been fermented, and tastes bubbly, the alcohol content is questionable at best. I don’t make those foods. Ok, so I once made a batch of salsa, which after fermentation was so boozy I had to heat it in the skillet to evaporate the alcohol before using it! We gave up on water kefir, because it smelled boozy. I refuse to take chances. I KNOW what alcohol smells like, and if that smell is there, it is not something I am willing to take a chance with, for myself or my family. I just won’t go there. Because I am a Mormon… and I not only LIVE it, I BELIEVE it. I have seen enough evidence in my personal life for the efficacy and wisdom of the Word Of Wisdom (the guideline for what we eat and drink that forbids “strong drink”, meaning alcoholic beverages), that I do not need to be further persuaded. I simply will not argue the guideline into a lesser observance. I know too much to even try. I will walk on the safe side. I have no desire to do otherwise. So why do I sell products for “fermenting”? Because of all the OTHER stuff that you can do with them! They are good for pickles, salsa without tomatoes, condiments, sourdough, kraut, and other good wholesome foods. These foods do not have significant sugar, and do not develop the alcohol that sugary foods develop. They do develop a lot of tasty probiotic microbes though. Good living food that helps the body compensate for the chemical exposure of modern life. And these products are created through a process of fermentation, without the resulting alcohol that many people associate with the word. Do some people use my products to make things that I would disapprove of? Undoubtedly! But my God is a God of Agency – granting the choice for good or evil to each person. I sell products and provide information for making healthy foods. If people use my products for unhealthy things, that is their choice, and I am not responsible for that. No more than if I sold televisions or computers and they chose to use them to view harmful media. The process of developing this business persuades me that it was indeed inspired. I am not creative enough on my own to have conceived of our airlock jar caps, nor the even more complex process of creating the prototype, developing a mold for it, and then a process for making more molds. I haven’t that kind of brilliance in me, and some of the aspects to it all are truly brilliant. But it does put me in an awkward position sometimes… I no longer introduce my business by the name (FermentaCap) to other Mormons. 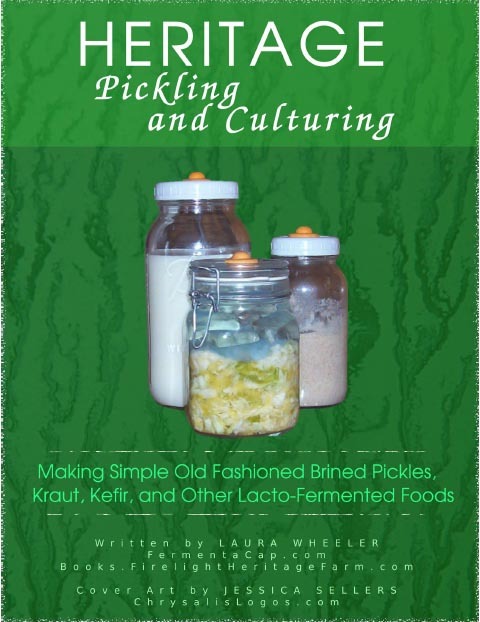 Instead, I just say that I make a lid for making Old Fashioned Brined Pickles. Most nod, with that look on their face which clearly says, “I have NO idea what you are talking about!”. A few hear “pickles” and wonder what in the world would make you need a special lid for THAT. Still fewer nod enthusiastically and ask for my website URL – but they are the ones who understand that “fermenting” does not just mean alcohol. Nothing tastes as fresh and flavorful as old fashioned brined foods. Kraut that has not been canned has a complex flavor and crunchy texture – it is not limp and sulfurous (my husband, a confirmed kraut hater, will even eat it mixed in tuna salad). Dill pickles are firm, dilly, and garlicky, with a pleasant bite of vinegary flavor (even though they have no vinegar in them). Salsa is pickly and spicy. Good food, that is still alive and bursting with nutrition. And THAT is why I, a diehard Mormon, manufacture and sell fermenting products. “You’ll need a four wheel drive to get up there.” she said. “The road in is pretty rough.” We had no 4X. “We’ve got what we’ve got.” I said, gesturing to our well-used sedan. On the way in, I kept looking for the road to get bad. The pavement got a little rougher, but no worse than the road we drove home each day (better in most respects than the Indian Nation Turnpike – a hazard which they CHARGE you to drive upon!). In fact, it was better than many of the roads I’d seen in Oklahoma. When it eventually gave way to gravel, it was well-graded gravel, no potholes (which was more than could be said of the pavement). Overall, a very driveable road, just a few holes to dance around. It helps to be a logger’s daughter, gives you perspective on such things. But then, I’d also lived in Wyoming for 15 years. Interestingly, I’ve seen more bad paved roads in Oklahoma than I’d ever seen in Wyoming. For some reason, people don’t complain about them in Oklahoma – as long as there is pavement, it is considered a drivable road, no matter how many open potholes, melted dips, overlayered rough patches, or heat buckles in the surface. Gravel, though, is considered “rough”. “Rough roads” in Wyoming mean REALLY rough roads, and they DO take a 4X with extra clearance underneath to drive. Overall, Wyoming takes much better care of their roads than does Oklahoma. There are more miles of road per capita in Wyoming than in Oklahoma, and a larger percentage of gravel roads – but roads are more valued in Wyoming as well, and they are better kept. There, they are a lifeline. So when someone mentions a rough road, it is pretty much all angles, gullied ruts, boulders, and mud. A paved road with potholes doesn’t even count – you can drive around those! The other thing we kept hearing about the planned trip was, “That’s a long drive – Pretty though.” It wasn’t a long drive. Just under 2 hours. Less than the distance we used to go to do our shopping. Less than the distance Kevin commuted for two years. Their idea of pretty was different than mine too – I like taller trees, grassy meadows, streams, and whitecapped peaks. This was all fluffy short trees covering rolling hills. Green, yes. Not so sure about pretty. Many other things mean something different in Oklahoma than what they mean in Wyoming. “Small town” for example. It means 300 people in Wyoming. It means 10,000 people in Oklahoma. There’s a VAST difference between a town of 300, and a town of 10,000. “There’s NOTHING there!” she insisted, about the last town on the way. “I mean NOTHING… No grocery stores, no fast food, no services, NOTHING!”. It was an awful lot of nothing. A small grocery store, a number of motels, gas stations, convenience stores, local restaurants. In all, a thriving community several times the size of some we’d been in. “Warm day” also means something different. Anything above 50 in Wyoming is a warm day. In Oklahoma, it has to get up to 80 to earn that distinction. In Wyoming, your biggest bills come from heating in the winter. In Oklahoma, they come from cooling in the summer. “Stiff wind” is something that does not translate. In Oklahoma, you get gusty winds now and again, and when a storm goes through, you’ll get an hour or two of winds that try to bat your car around on the road (the shiftless, unpredictable winds that accompany a storm with tornado warnings). But people constantly say that it is a windy place to live – and I think they must be people who have not lived anywhere with real wind. The Wyoming breeze blew through on a daily basis, fairly consistent (and the Wyoming definition of “breeze” is a good stiff wind anywhere else). Very little gustiness, mostly a steady solid stream of air from west to east, with enough force to ruin all but the most stiffly sprayed hairstyle. When it got REALLY windy, it could (and did) knock down small children, pull roofs apart, shove cars off the road completely, and even tip over semis, and it didn’t do that for a few hours, it would do it for days at a time. Oklahoma wind is a capricious teenage prankster who occasionally goes too far. Wyoming wind is a practiced, constantly relentless bully, intent on making sure you know who is boss. There have been many other issues where the words being used meant something different to the speaker than they did to me. So much so that I wondered why they were even commenting upon the issue, it seemed so much like a NON-issue. Just a matter of being used to extremes, I guess. Many small and large cultural differences as well, and some attitudes that are noticeably different. Once you’ve lived in Wyoming though, the lack of a nearby McDonald’s or Wal-Mart really isn’t the harbinger of isolation that many people think it is. In fact, it becomes more of a welcome condition. Something that feels a little more like… home. After seeing a friend cooking eggs in an Ogreenics skillet, I finally thought a ceramic skillet might be worth a try. She was cooking eggs, without oil. They adhered, but peeled easily away when the eggs were turned. I cook a lot of potatoes in the skillet. And potatoes stick, in everything except teflon. Teflon wears out, fast, and bits come off in the food. Ick. Food purist or not, teflon just isn’t a good option for hard use. No matter how gentle you are with it, eventually, it peels. Cast iron is great for a lot of things, but potatoes, and corned beef, stick, even if your cast iron is nicely seasoned. They stick to stainless steel also. Hopelessly. They stick regardless of the amount of oil in the pan. They stick regardless of the type of oil. They just stick. And you loose all that delicious crunch, because it all sticks to the pan, and you have to soak it off when you wash the pan. And really, why bother frying potatoes if you lose the very reason you fried them in the first place? I purchased a Wearever ceramic coated skillet. First, we cooked bacon. The skillet is so slick that you really need kitchen tongs to cook bacon. Trying to catch it any other way is near impossible. It just slides around in the pan and you can’t even get the utensil under it. But it wiped out afterward without the tiniest bit of sticky brown bits. Then, the potato test. Diced potatoes, sausage, onion, all into the pan along with some butter. Heat on. The whole mess slid around effortlessly in the pan. Again, the problem was not with sticking, it was with sliding. Hard to get the turner under it to flip it. But at the end, the finished food slid out cleanly onto the plate. It passed the test without even working up a sweat. I suspect it would handle reheating mashed potatoes much like it handles eggs. Nothing sticks to this. You can’t make it. And you can use a durable metal pancake turner on it. No need to use a wimbly plastic thing. I suppose someday someone will find some kind of health reason to not use ceramic cooking pots and pans. But until they do, I’m sold. There is something magical about the feel of dry leaves under one’s feet. The crackle and crunch still delights me. I first discovered the magic of crackling leaves in the Yakima Valley, while I was dating Kevin. The magic of the leaves somehow mingling with the magic of being totally, completely head over heels in love. Having grown up near the Washington Coast, where rain is an assumption rather than an event, I had never experienced the sound of leaves crunching under my shoes as a child. Leaves did not crunch there. They wilted, and sogged. I had read about fall leaves crunching underfoot, but had never been able to produce the sound, in spite of trying many times. So now I walk down the streets, with brown leaves littering the edges and the gutters, and try to surreptitiously step on promising looking clusters or larger leaves. Trying to step on them, to hear that cheerful sound, but of course, wanting very much to not LOOK like I am trying to step on them. Best of all, holding hands with Kevin while the leaves crackle underfoot. And I am still totally, and completely, head over heels in love.